A new Tropical Skyrim Mod has been developed and released by Soolie over on the Nexus Mods website this week, which has been created to provide a more tropical feel to the winter landscapes of Skyrim. So if you are tired of rain and snow in Skyrim it might be time to to install the Tropical Skyrim Mod, remove a few furs and armour and enjoy a little more sunshine whilst questing. Watch the video after the jump to see the Tropical Skyrim Mod in action. 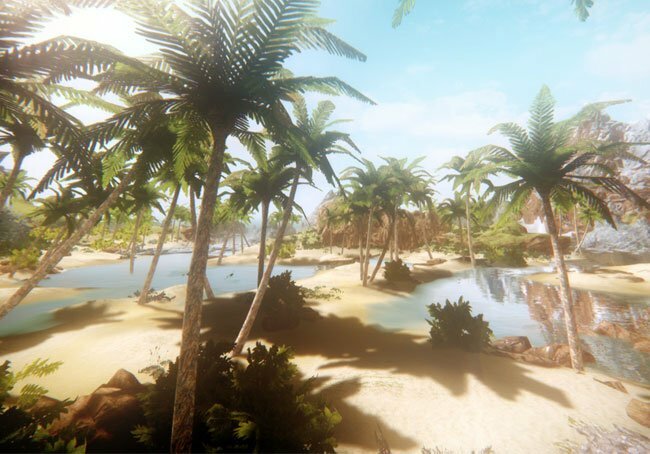 Tropical Skyrim Mod provides a complete overhaul of the Skyrim in-game climate, transforming it from a snowy wasteland to a tropical paradise. With lush jungles, scorching deserts, sandy beaches, bamboo forests, fiery volcanic areas and more. Within the Tropical Skyrim Mod there are also new animals and monsters, new lighting, and new weather. For more information on the new Tropical Skyrim Mod jump over to the Nexus Mods website for details.